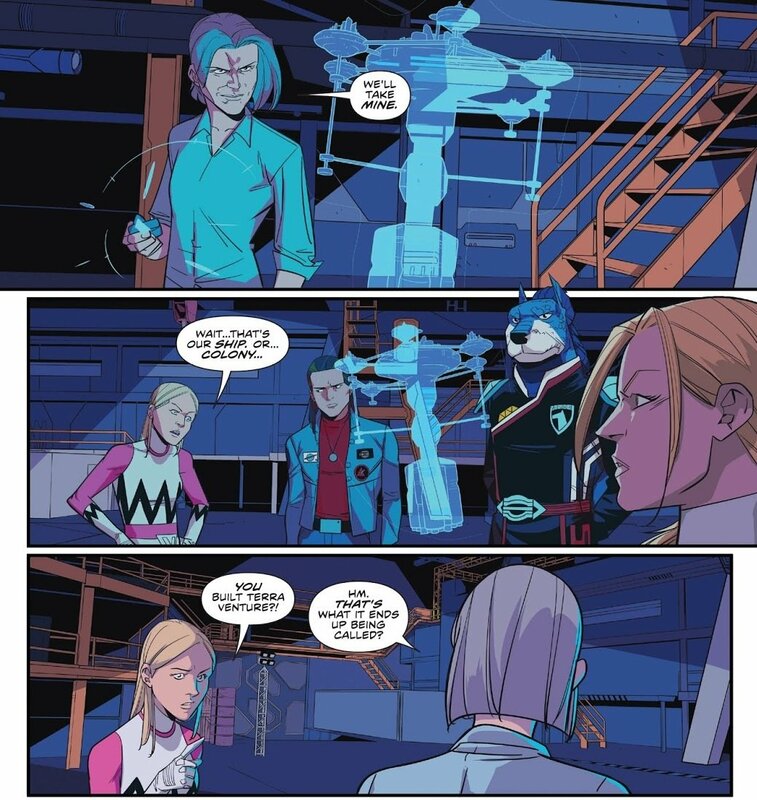 As it turns out, these last five moments from Shattered Grid all happened in Mighty Morphin Power Rangers #30. 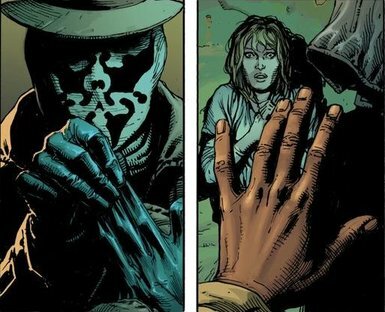 So a major tip of the hat to author Kyle Higgins, penciller Daniele Di Nicuolo, inker Simona Di Gianfelice, colorist Walter Baiamonte, and letterer Ed Dukeshire. 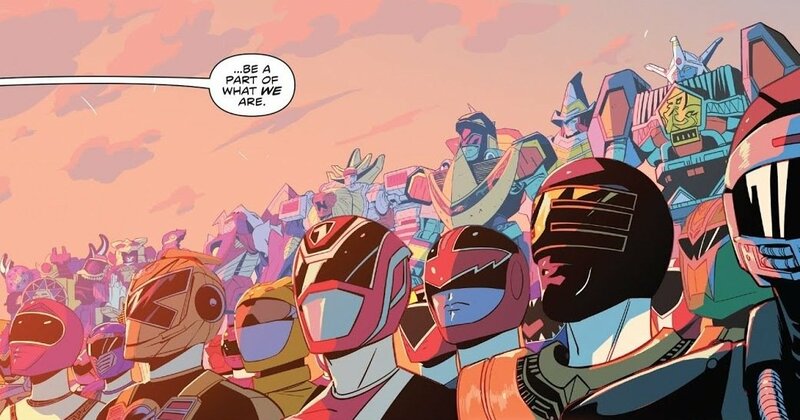 Furthermore, we need to send a major thank you to Ryan Parrott, Dan Mora, and everybody at Go Go Power Rangers. That series is great in its own right. But it’s provided some really nice supplemental material for our main story. And thanks to everybody at BOOM! Studios for giving us better Power Rangers comics than we ever could have hoped for! With that, it’s back to action! 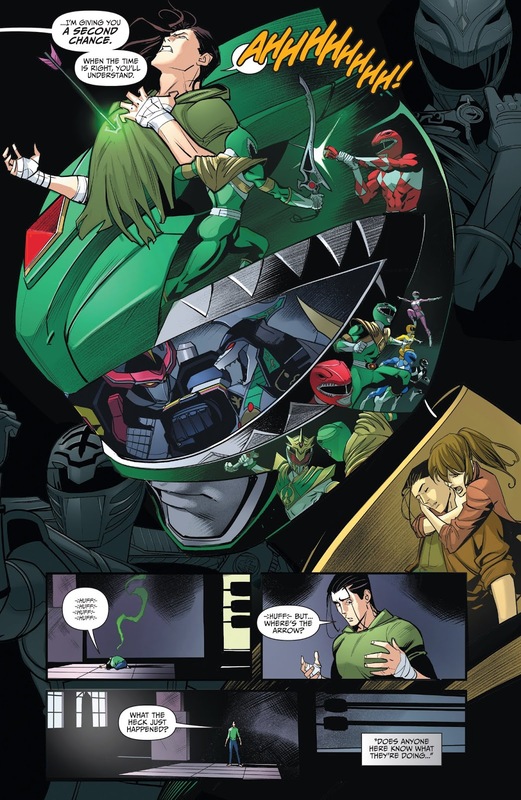 While Tommy obviously has a crucial role in Shattered Grid, let’s not forget that the Tommy Oliver of the BOOMverse, the Tommy our heroes knew and fought alongside, was killed. Plus, Kimberly held him as he died. Pretty heavy stuff. 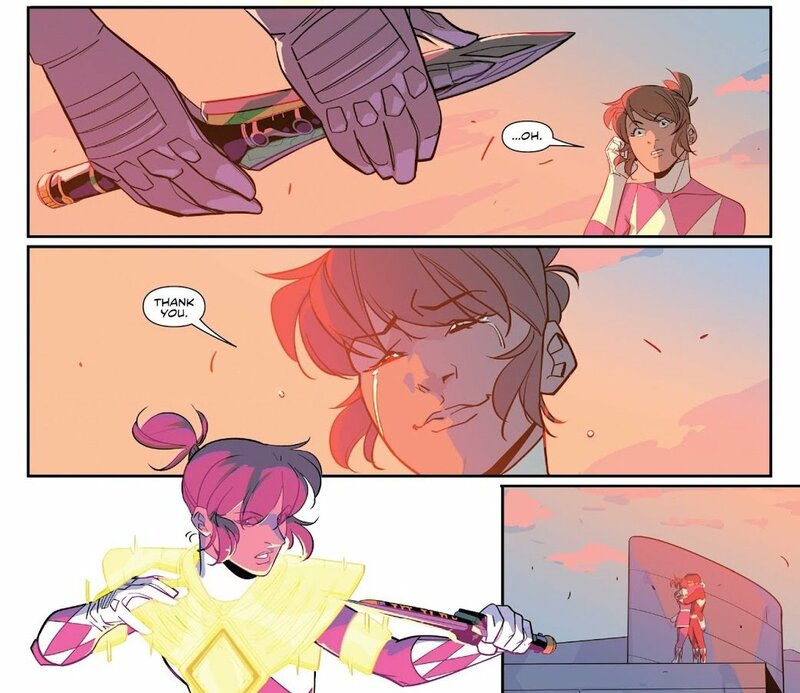 So when Jason hands her the Draggon Dagger, and puts her in charge of the Dragonzord, it’s a nice moment. But this has appeal in a larger scope as well. From a character standpoint, there’s an argument to be made that Tommy should have given his powers to Kimberly at the end of “The Green Candle.” Obviously, the show was limited by the Japanese footage it had to work with. So it ultimately had to be Jason that got them. But it would have made a lot of sense for Kimberly, Tommy’s love interest, to be the one he passed his powers on to. All these years later, this is a nice tribute to a character fans still love and remember. Serpentera was essentially the Death Star of the Power Rangers universe. It was Lord Zedd’s personal zord, and had enough power to annihilate a planet. And it was huge. One of the biggest zords in the show’s history. As you can see at left, it could literally hold a Megazord in its massive jaws. 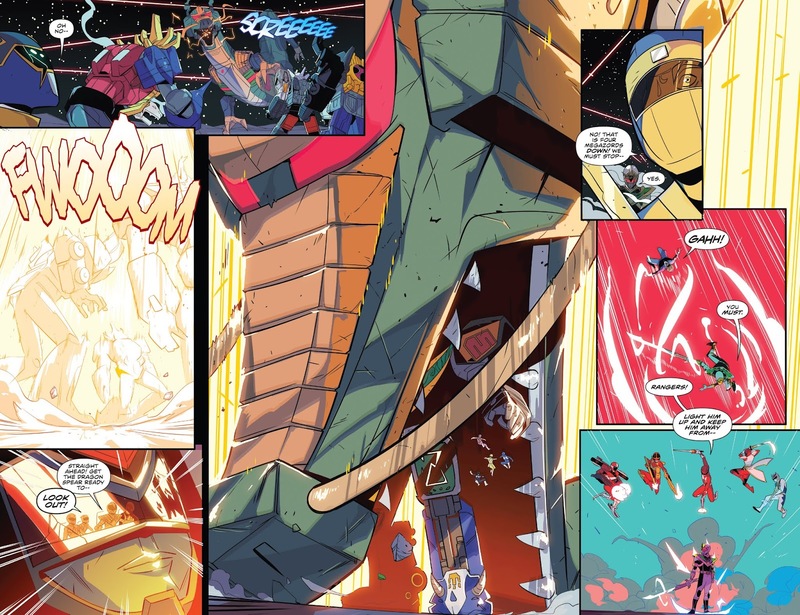 As any PR nut knows, Serpentera went out like a chump in “Forever Red.” But it gets a nice chance to shine during the big battle in Shattered Grid. We don’t see much of the actual zord, but that’s half the beauty of it. It’s so big, it can’t even fit within the confines of the comic book! 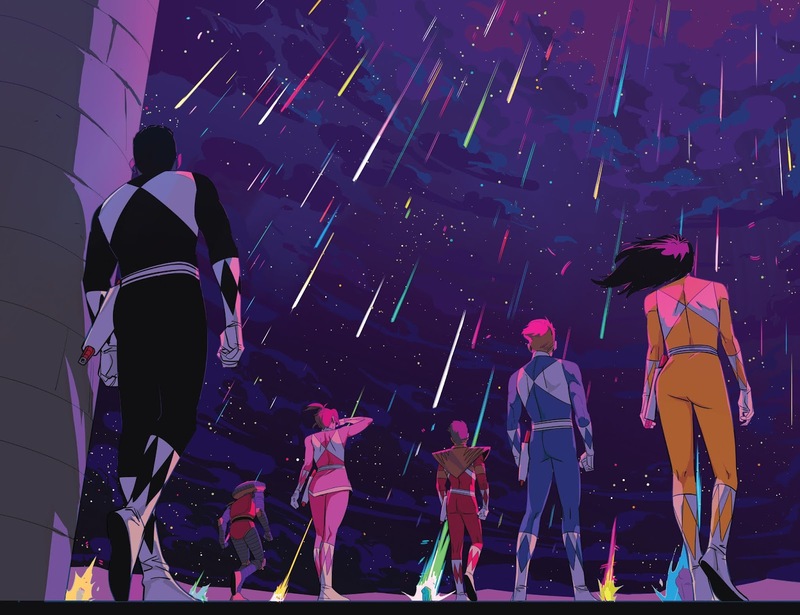 We end on yet another reminder of just how much history we’re mining for Shattered Grid. Lord Drakkon’s big plan is to steal morphers from each Ranger team, and get inside the Morphin Grid itself. In the above panel, we can see he’s assembled some kind of power siphoning device and plugged it in to the various morphers he’s collected. Represented are in Space, Lost Galaxy, Dino Thunder, Megaforce, Dino Charge, among others. I absolutely adore the attention to detail. This is as much an indicator as any of what a labor of love Shattered Grid is. So once again, thank you to everyone involved. I can’t wait to see how it ends! This entry was posted in Comic Books/Graphic Novels and tagged BOOM! 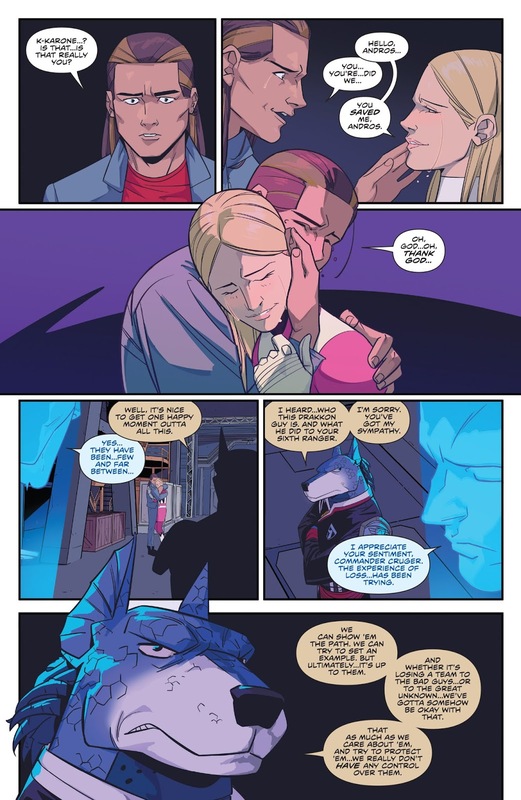 Studios, comic book reviews, comic books, Daniele Di Nicuolo, Dragonzord, Ed Dukeshire, event comics, Forever Red, Jason Lee Scott, Kimberly Hart, Kyle Higgins, Megazord, Mighty Morphin Power Rangers, Mighty Morphin Power Rangers #30 (2018), Mighty Morphin Power Rangers (BOOM! 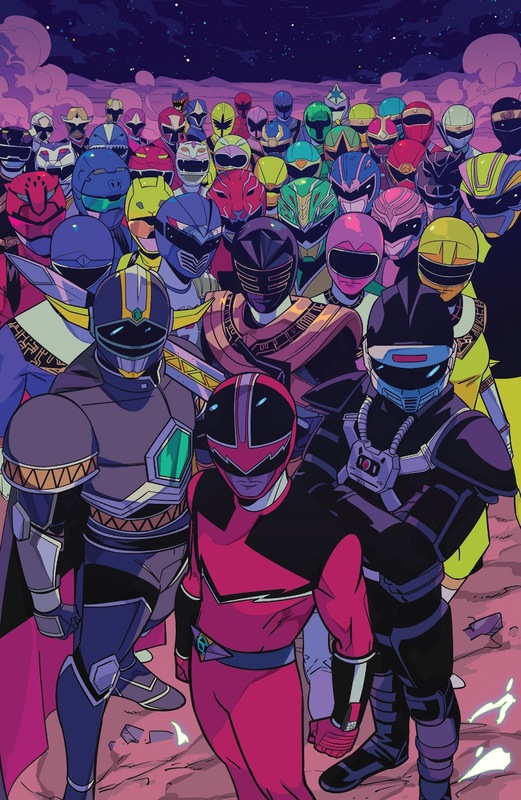 Studios), Mighty Morphin Power Rangers: Shattered Grid, Phantom Ranger, Power Rangers, Quantum Ranger, Rita Repulsa, Rob Siebert, Serpentera, Shattered Grid, superhero comics, teenage superheroes, The Green Candle, Tommy Oliver, Walter Baiamonte, Zordon on 08/28/2018 by primaryignition. 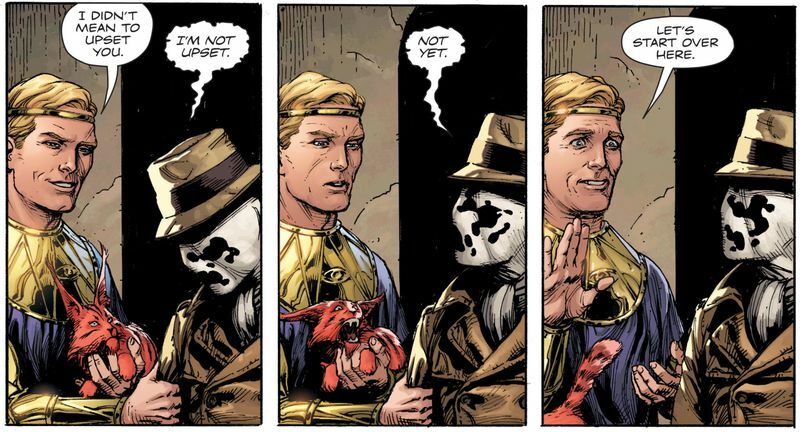 THE ISSUE: As Watchmen characters continue to make an impact in the DC Universe, the Joker enters the picture. You don’t see this idea represented much in the canonical DC Universe. That’s because DC relies so heavily on The Killing Joke, in which the Joker emerges from the chemicals with the green hair and red lips. But the Ross idea makes sense, all things considered. 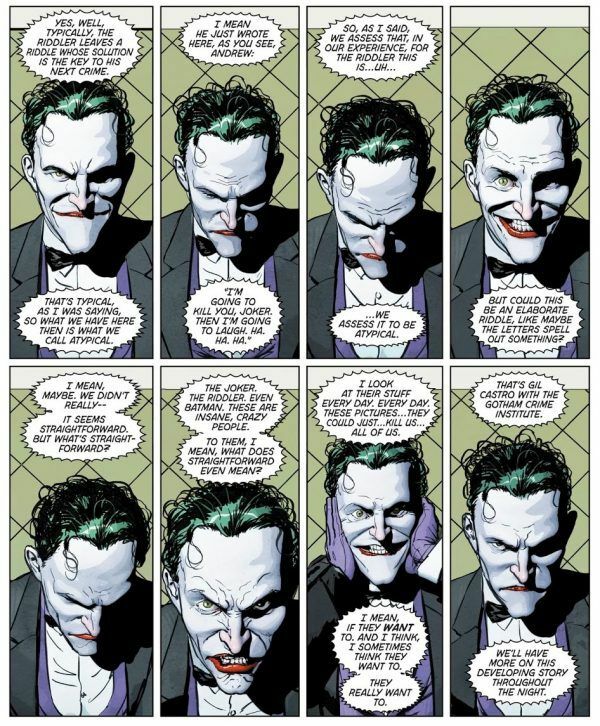 It lines up nicely with the theatricality that’s built in to the Joker character. 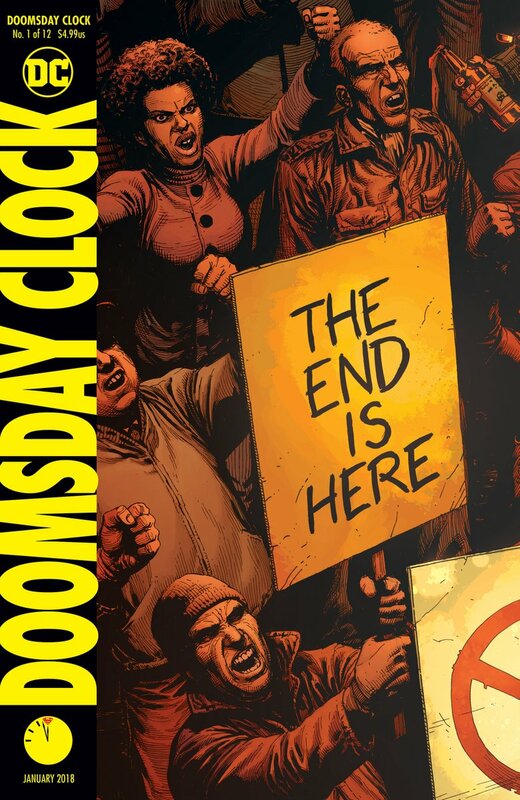 That’s why it’s so cool to see Gary Frank and Brad Anderson go that route with this variant for Doomsday Clock #5. 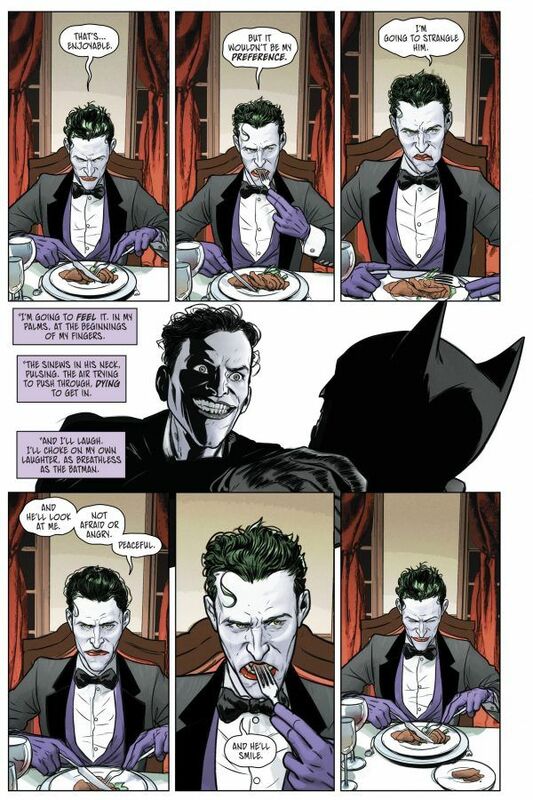 Frank doesn’t get to draw Joker very often. But when he does, it’s a treat. Look at the wild insanity we see in those eyes. We see him inside the issue as well. But this right here is the coup de grace. 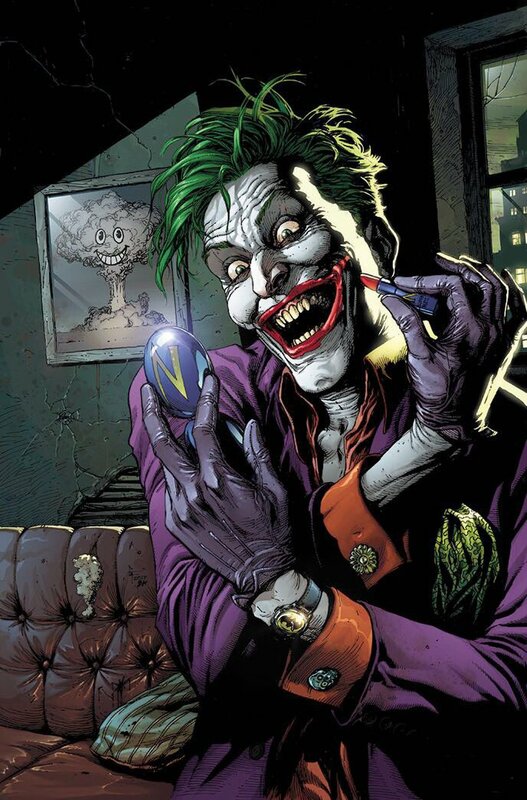 This entry was posted in Comic Books/Graphic Novels, Epic Covers and tagged Alex Ross, Batman #1 (1940), Batman: The Killing Joke, Brad Anderson, comic art, comic book art, DC Comics, Doomsday Clock, Doomsday Clock #5 (2018), Epic Covers, event comics, Gary Frank, Mythology: The Art of Alex Ross, Rob Siebert, The Joker on 06/06/2018 by primaryignition. 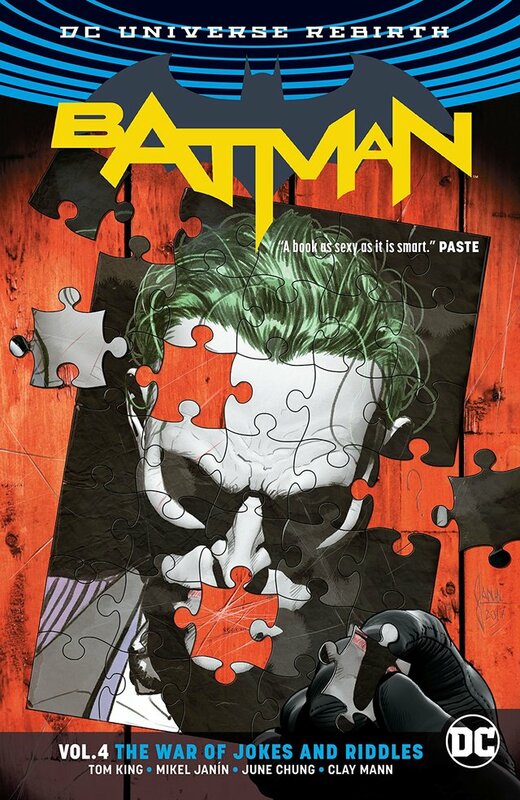 The League is on the hunt for Batman after learning he’s a living doorway into our world for a demon named Barbatos from the Dark Multiverse. The Caped Crusader is determined to prevent Barbatos’ arrival on his own. But it’s a mission that’s doomed to fail, as his determination is about to backfire on him. One way or another, the Batmen of the Dark Multiverse are on their way. One element of Metal that has yet to falter is the art. Penciller Greg Capullo, inker Jonathan Glapion, and colorist FCO Plascencia give us the DC Universe in all its grandeur, albeit a shade or two darker. The issue opens with a sequence that quickly jumps between Gorilla City, the House of Mystery, Metropolis, and the Amazon rainforest. Later on, we go to a location that Superfriends fans will recognize as the Hall of Doom, which is a cool little moment. 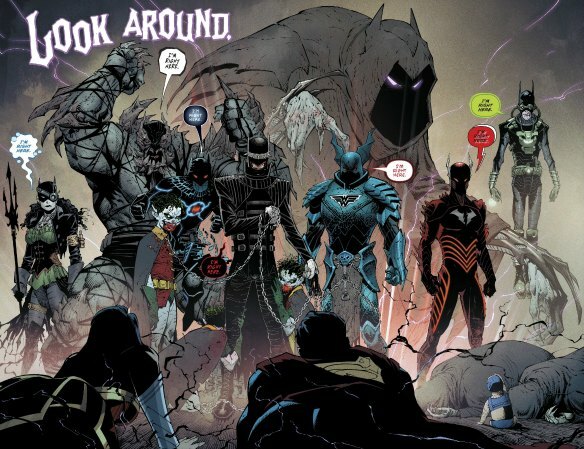 Then you have the two-page spread revealing of all the Dark Multiverse Batmen. I stand by what I said last time about how they don’t all need to be twisted versions of Batman. But there are a lot of fascinating design elements. 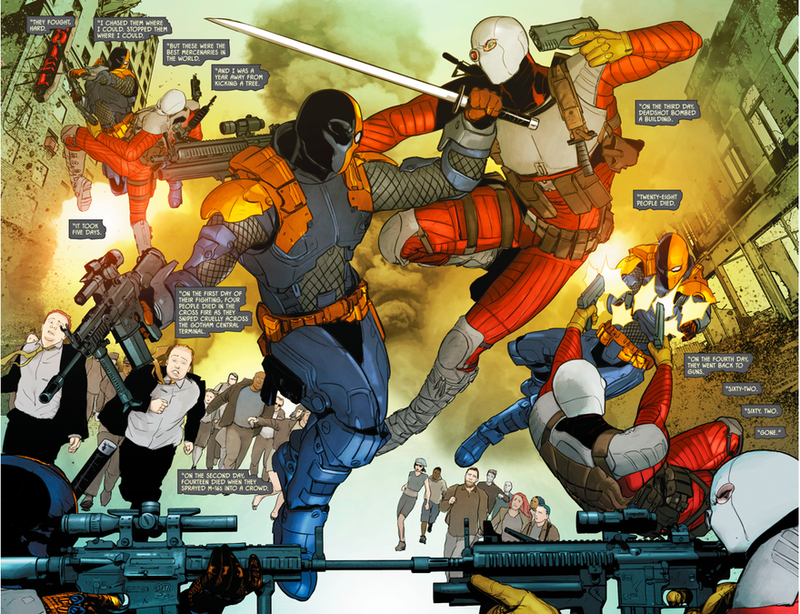 “The Batman Who Laughs” (center) is the most provocative, as he comes with what appear to be cannibalistic zombie Robins on leashes. But the Aquaman equivalent (far left), “the Drowned,” has an intriguing design that seems to be pirate-inspired. The Wonder Woman equivalent is clearly inspired by Ares. 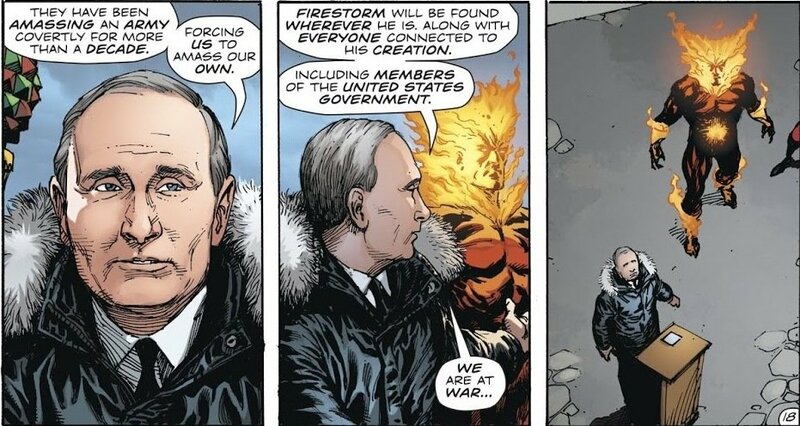 Of course, having Doomsday stand in for Superman is a nice touch. My complaints about the art are few and far between. But one of them deals with a shot of Damian Wayne. Early in the book we get a chase sequence through the Amazon, as Justice League members chase various Bat-family members who have been digitally camouflaged to look like the Dark Knight. Robin, meanwhile, is driving what essentially amounts to a big Bat-tank. There’s a panel where we zoom in on Damian behind the wheel, and the poor kid looks like he needs a booster seat (shown below). He’s supposed to be 13 years old, not six. What gives? I’ve made no secret of how much I hate what Snyder and Capullo did with Batman and the Justice League in their Endgame storyline. While under the effects of the Joker’s mind control, Superman, Wonder Woman, the Flash, and Aquaman all attack Batman. Naturally, Snyder gives Batman a giant robot to fight back with, as he trumps all of them one by one. Each time, we got a detailed explanation of the pseudoscience involved. It all culminates with Batman spitting in Superman’s eye. There was no harm intended, but the whole thing wound up being absolutely disgraceful. One of the worst instances of Batman worship I’ve ever seen. So naturally, the rainforest chase scene between the League at the Bat-family was nerve-wracking for me. Especially when the various members of Batman’s team start springing various traps. But in the end, with Superman’s help, the League gets a win. Batman himself winds up not being there at all. But let’s take our wins where we can get them. We avoided some indirect Batman worship. Snyder and Capullo handle Superman pretty well this time around, which is a nice surprise. He’s compassionate and concerned about Bruce’s wellbeing, even referring to him as a brother. But at the same time, he’s the assertive leader that he should be. One way or another, he refuses to let Bruce face this threat alone. 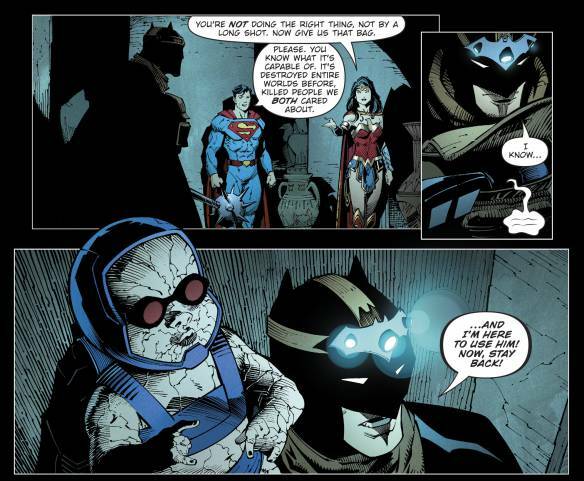 I’m a little less sure about baby Darkseid, however. This transformation happened back in Geoff Johns’ Darkseid War. It’s not so much the way the little guy is used, but how he looks (shown below). I understand the goggles, which Batman addresses in the scene. But did we have to put him in a miniaturized version of his normal blue armor? There’s a ha-ha quality there that puts a damper on the drama. 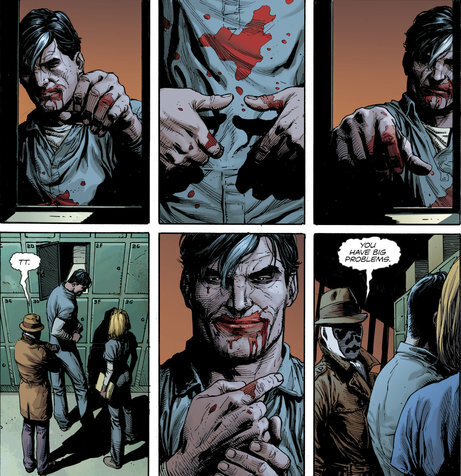 On the subject of Darkseid, Snyder surprised me by weaving The Return of Bruce Wayne into this story. The idea is that Barbatos first saw Bruce when he was sent back in time via Darkseid’s Omega Beams, which set up the events of Return. I’ll say this much, it at least offers a little explanation as to why this giant cosmic entity is specifically targeting Bruce. 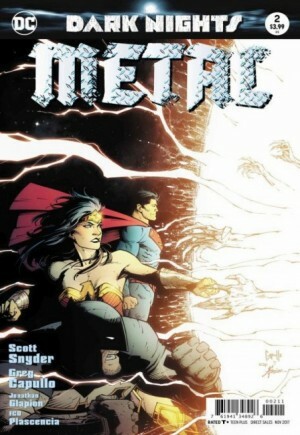 According to Snyder, Metal has been in the works since his run on Batman began in 2011. Metal #2 takes us back through the events of said run, and reminds us of the various otherworldly metals our hero has been in contact with. Electrum, Dionesium, etc. While I adore the long-term storytelling, the issue takes it a little too far by introducing a new metal called Batmanium. Ugh. Really? Batmanium? This entry was posted in Uncategorized and tagged Aquaman, Barbatos, Batman, Batman comics, Batman: The Return of Bruce Wayne, comic book reviews, comic books, Damian Wayne, Dark Multiverse, Dark Nights: Metal, Dark Nights: Metal #1, Dark Nights: Metal #2, Darkseid, DC Comics, Doomsday (DC Comics), event comics, FCO Plascencia, Greg Capullo, Hall of Doom, Jonathan Glapion, Justice League, Rob Siebert, Robin, Scott Snyder, single issue reviews, Superfriends, Superman, The Flash, Wonder Woman on 09/21/2017 by primaryignition.